One of the many things that makes Canton, Michigan an ideal place to live is its convenient proximity to so many renowned colleges and universities. Students and educators alike will find a wide and diverse selection of higher education opportunities just a short drive away. While not even close to an exhaustive list, these are some of the popular universities and colleges near Canton, Michigan. The University of Michigan (Michigan), the premier university in the state, is located just 25 minutes from Canton in Ann Arbor, Michigan. The university has long been a leading research university in the country and is nationally renowned for its academic excellence. 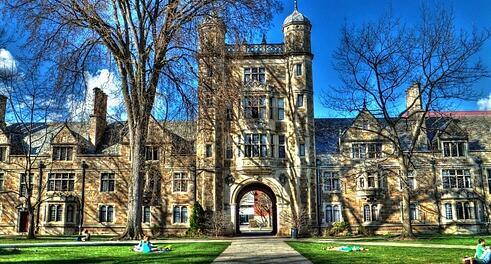 The University of Michigan also boasts one of the best college towns in the country: Ann Arbor. And if academic excellence and location aren’t enough, Michigan also offers outstanding athletic programs and teams participating in the NCAA and Big Ten Conference., Michigan is known for its football Saturdays in the “Big House”! Eastern Michigan University is a university located in Ypsilanti just 20 minutes west of Canton, Michigan. The school offers over 200 degree programs and over 170 graduate programs. This growing school has approximately 22,000 students spread out over 1 main campus and 8 satellite campuses throughout the state. The school also has a vibrant student community and has over 300 clubs and organizations to get involved in, allowing students to fully appreciate their college experience. Oakland Community College (OCC) is the largest community college in Michigan, as well as one of the largest in the nation. The community college is relatively young being founded in 1965, but has since seen expansive growth. One of the main reasons this higher education option is so popular is because over half of the students that enroll at OCC have plans to transfer to 4 year institutions. The small class sizes and emphasis on career-based learning makes this a great option for students looking to jump right into a career or transfer to another university. 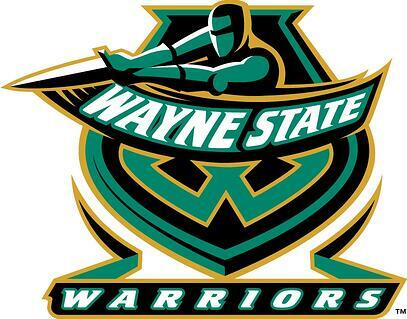 Wayne State University is located in downtown Detroit and is approximately a 40 minute drive from Canton, Michigan. The university is a premier research university serving a diverse body of motivated students. One of its biggest draws after its stellar academic training, is its location in vibrant Midtown, the cultural center of Detroit. Wayne State has recently been recognized as having the number two ranked law school in Michigan (after the University of Michigan) and one of the top nursing schools in the country. Wayne County Community College is a community college with six locations in Detroit, Michigan. Most of the college’s locations are about 25 miles from Canton, Michigan making it an easy commute. The school’s primary focus is on educating students in career and occupational programs, allowing students to quickly find technical and skilled careers after finishing their schooling. Lawrence Technological University, frequently referred to as Lawrence Tech, is a private university located in Southfield, Michigan. Lawrence Tech is considered one of the foremost private technological universities. Lawrence Tech is ranked #40 - Regional Universities Midwest in the 2017 edition of Best Colleges by U.S. News & World Report. The school offers undergraduate, masters, and doctoral programs in STEAM fields (science, technology, engineering, arts, and mathematics). The university's four colleges are Architecture and Design, Arts and Sciences, Engineering, and Management.